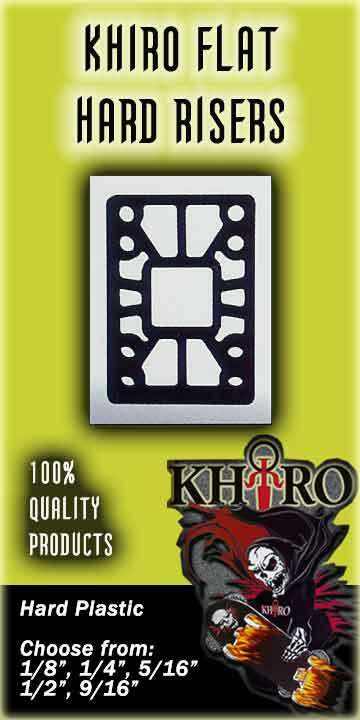 KHIRO FLAT HARD RISERS-- Made from the highest grade materials -- hard plastic compounded especially for KHIRO. In a variety of dimensions to customize your wheel clearance needs: Choose from - 1/8”, 1/4”, 5/16”, 1/2” or 9/16”. Old and New School hole patterns. Each riser sold separately.